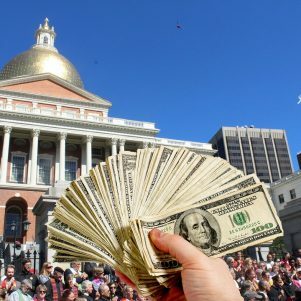 ‘Hey hey, ho ho, student debt has got to go,’ activists chanted at the Massachusetts State House in Boston on Thursday, March 21, 2019. 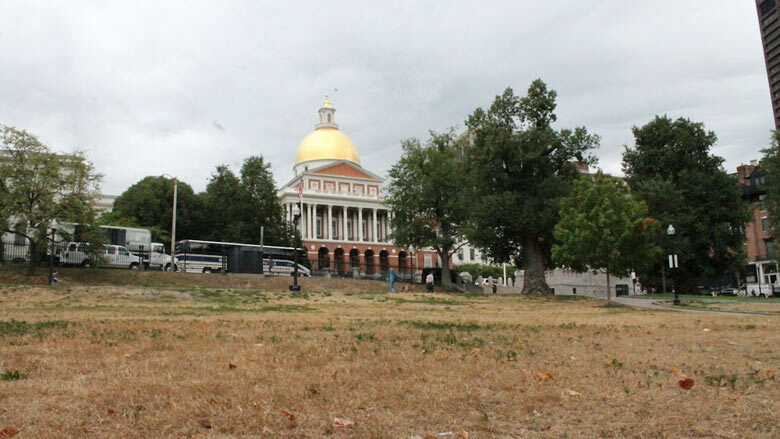 State House News Service Photo by Sam Doran. 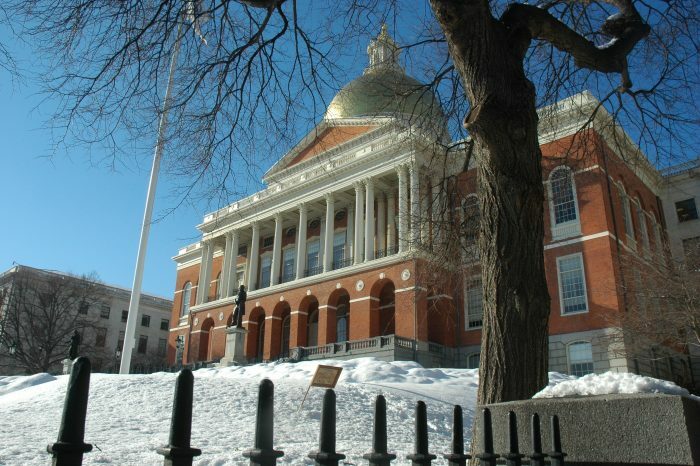 Students, educators and others who say the cost of a college education has ballooned out of control took their calls for relief to the State House on Thursday and said that if lawmakers don’t act, they’re prepared to ask voters to deliver results instead. 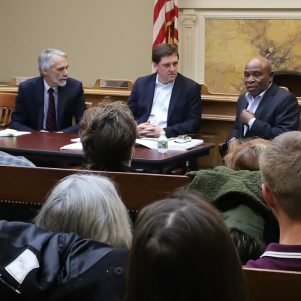 Zac Bears, executive director of the Public Higher Education Network of Massachusetts (or PHENOM), encouraged the hundreds who attended an advocacy day his organization hosted to “demand action” on legislation they support. 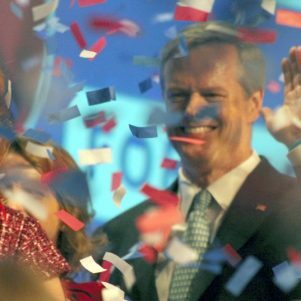 Students would be eligible for the grant if they are Massachusetts residents who hold a high school diploma or an equivalent, are enrolled full-time or part-time at a public college, university or another public certificate, vocational or adult education program, and maintain at least a 2.0 GPA. 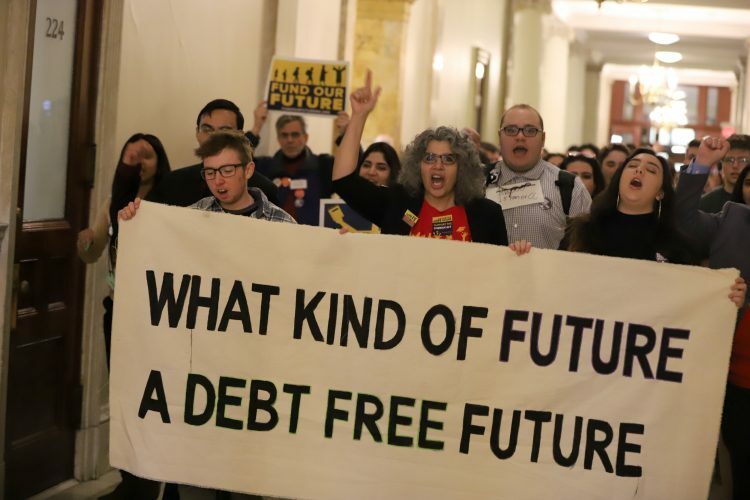 After hearing from students and advocates, the approximately 550 attendees marched through the State House, chanting “Hey, hey, ho, ho, student debt has got to go,” then dispersed for meetings with lawmakers.